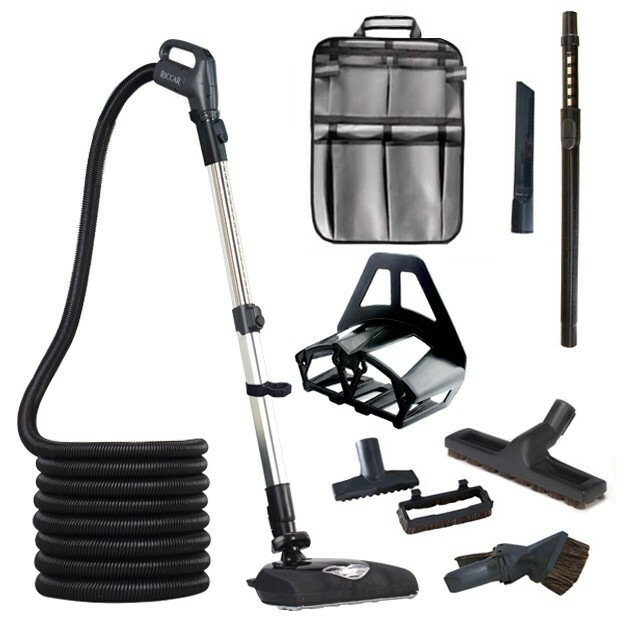 The Riccar premium central vacuum kit includes a 35-foot hose that fits either pigtail style or direct-connect systems. This kit features a full size power nozzle with aluminum brushroll and dirt sensor, and an integrated telescopic wand, multiple natural bristle cleaning tool attachments and a handheld turbo brush great for removing pet hair from furniture and cleaning stairs. It also comes with a hose hanger and a heavy-duty tool caddy for tool storage.